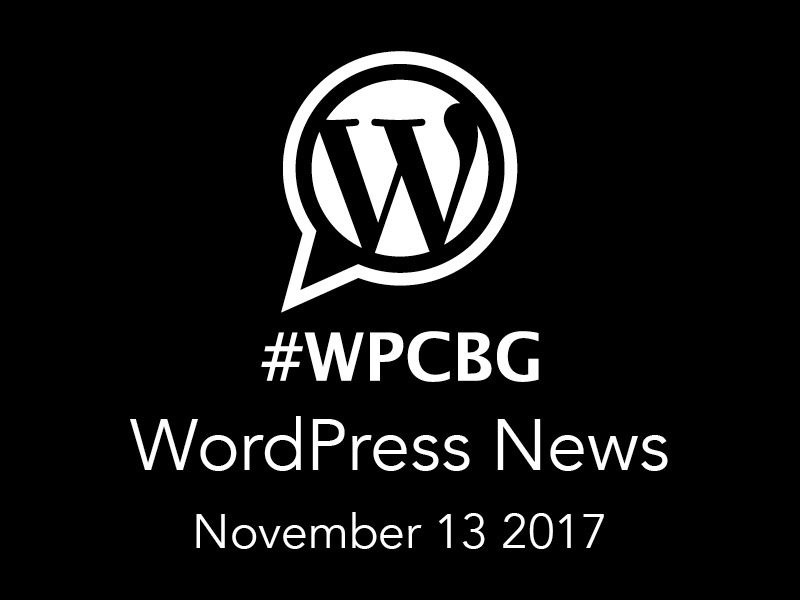 Hello, here are the notes from the WordPress News section tonight’s WordPress Cambridge meeting (November 13, 2017). WordPress News is a new part of the meetup. A quick 10 minute update on all things WordPress. Feel free to give feedback on the presentation. WordPress 4.9 will introduce saving theme customizations as draft. Now when you make changes to a theme using the customizer, you will have an option to save your changes as a draft instead of making them live. This new feature will also allow you to share the preview of changes with a url. You can send this URL to any user, and they will be able to see your website with the changes made in that particular draft. Want to publish your theme changes at a specific time? WordPress 4.9 will also allow you to schedule changes. WordPress 4.8 brought media widgets including rich text, audio, image, and video. WordPress 4.9 will introduce the new gallery widget, as well as shortcodes and embedded media. This will allow users to better access to adding content into widget areas. For example sidebars, header and footer areas. As an example contact form plugins often generate a shortcode which you add to a page or post to display. Now you will be able to also add such a form to a footer on your site. activate_plugin checks whether a user can activate a specific plugin. When checking the capability, it gets passed the plugin file (such as current_user_can( ‘activate_plugin’, ‘my-plugin/my-plugin.php’ )). deactivate_plugin works similar to activate_plugin, but checks whether a user can deactivate a specific plugin as the name indicates. Instead of removing the editors from core, the WordPress development team has enhanced them by adding fatal error protection in WordPress 4.9. When a user accesses the theme or plugin editor for the first time, they’re presented with warnings. Sometimes widget areas and even menus could become ‘lost’ when switching themes, because different themes have different names for menus and widget areas. 4.9 tries to fix this by trying to match up widget and menu areas from one theme to another. WordCamp Denmark organizer Kåre Mulvad Steffensen and WP Pusher creator Peter Suhm are working on a GDPR for WordPress project that aims to provide an industry standard for getting plugins compliant with EU General Data Protection Regulation (GDPR) legislation. The deadline for compliance is May 28, 2018, approximately 200 days from now. Up until the release on October 24, Gutenberg did not support the meta boxes that so many WordPress content creators rely on. The new editor now has initial support for meta boxes as well as a host of other critical features for content creation. At the end of October, WordPress 4.8.3 was released containing an important security fix for all previous versions of WordPress. If your WordPress installation has not updated automatically, please update it now to protect your site.